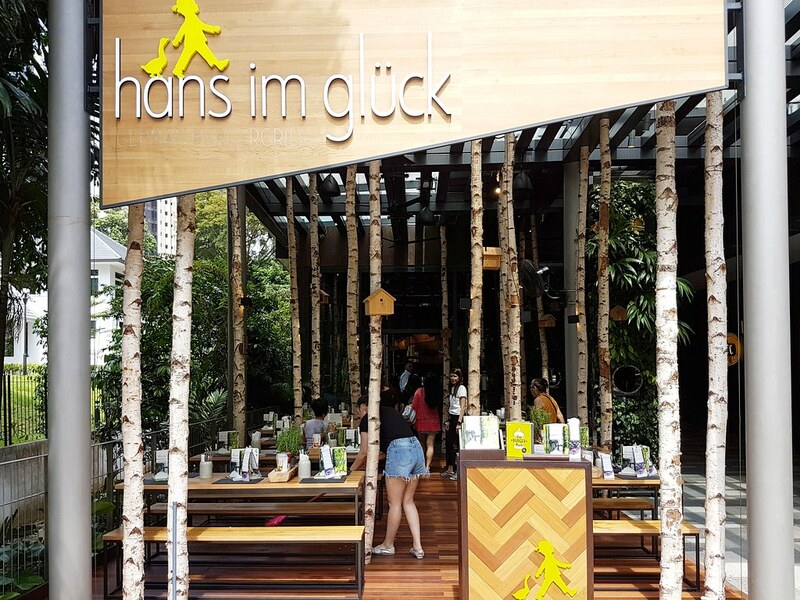 Situated in the heart of Orchard Road is Hans Im Gluck, an established German Burger Grill and Bar from Munich which has launched 49 outlets across Europe and hereby marking Singapore as the franchise’s 50th outlet globally. Originating from a wonderful story of Hans Im Gluck which is meant to teach readers the true origin of happiness, diners will be instantly transported to an enchanting dining experience akin to dining in a whimsical fairy tale forest with its carefully curated interiors - the lush greenery and floor to ceiling birch tree trunks sprouting in between tables to create a green haven away from the hustle and bustle of the city. Burgers are their forte. 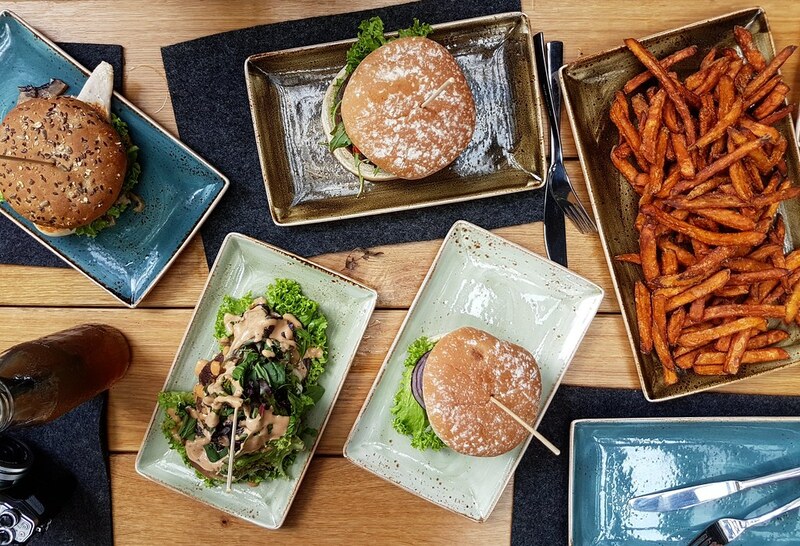 The casual gourmet burger restaurant specialises in an extensive selection of quality European gastro burgers - with over 30 beef and chicken burgers served alongside salads, as well as vegetarian and vegan burgers to cater to those with dietary restrictions. 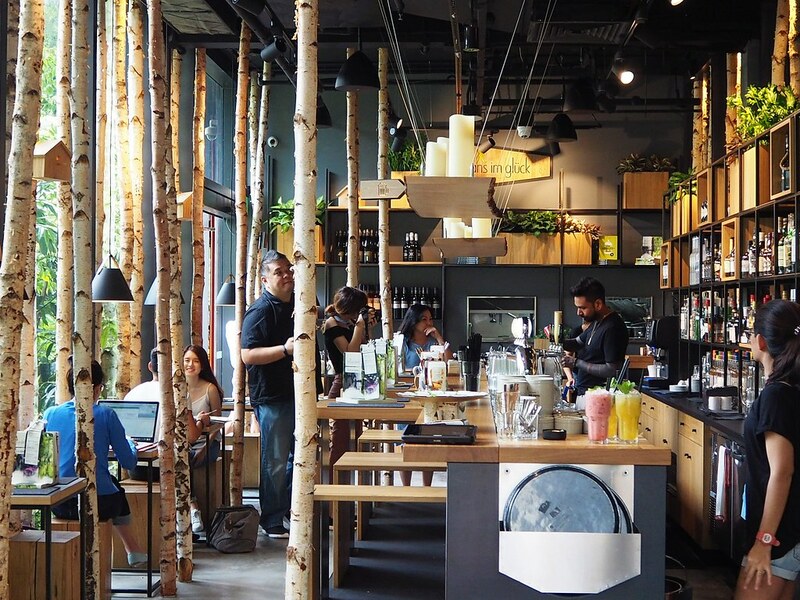 Also, the restaurant brings in its own range of housemade sauces, as well as multi-grain and sourdough buns, which come frozen from Germany and are made exclusively for the chain, in order to ensure consistency and quality. 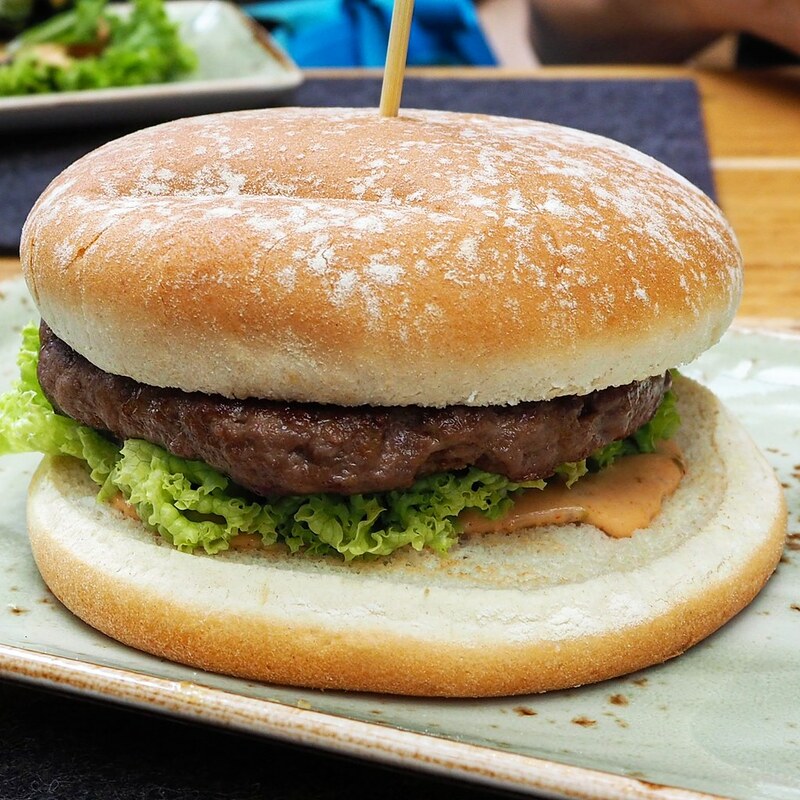 I liked how all burgers come with an option for customers to choose their choice of bread from Sourdough, Multigrain or go Naked, which basically translates into a bun-less burger, perfect for those on a carb-free diet. The 1 PFUND SUSSKARTOFFEL-FRITTEN ($9) comes in a generously portioned sweet potato fries which boasts a crispy exterior, with a sweet potato fragrance within its soft airy insides. 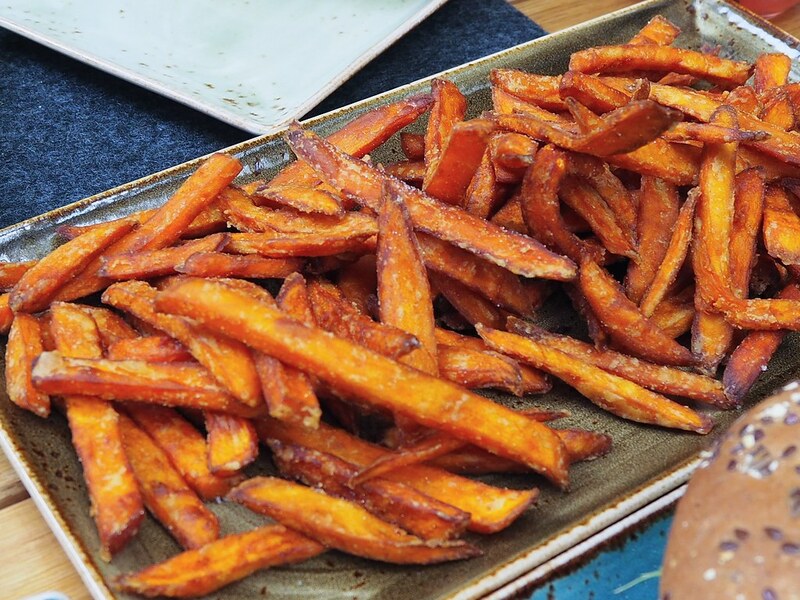 Though good on its own, pair them with the different sauces available and you will finish all one pound of these addictive sweet potato goodness in no time. The HANS IM GLUCK ($17) features a beef burger which comes with parmesan cheese, parma ham, rocket leaves and balsamic glaze. The subtle sweetness from the balsamic glaze complemented the savouriness of the other ingredients quite well, while the beef patty leans towards the tougher side as they only do their beef well-done. Furthermore, the restaurant opts for fresh Australian beef, which averages at 20 per cent fat-to-meat ratio. This explains why the patty lack the juiciness one usually expect for their burgers. Another beef burger from their menu, the KLASSIK ($14) claimed as the 'mother of all burgers', also came with a nicely seasoned beef patty, as well as the standard set of toppings such as fresh lettuce, red onions, sun-ripened tomatoes and their signature HANS IM GLÜCK sauce. 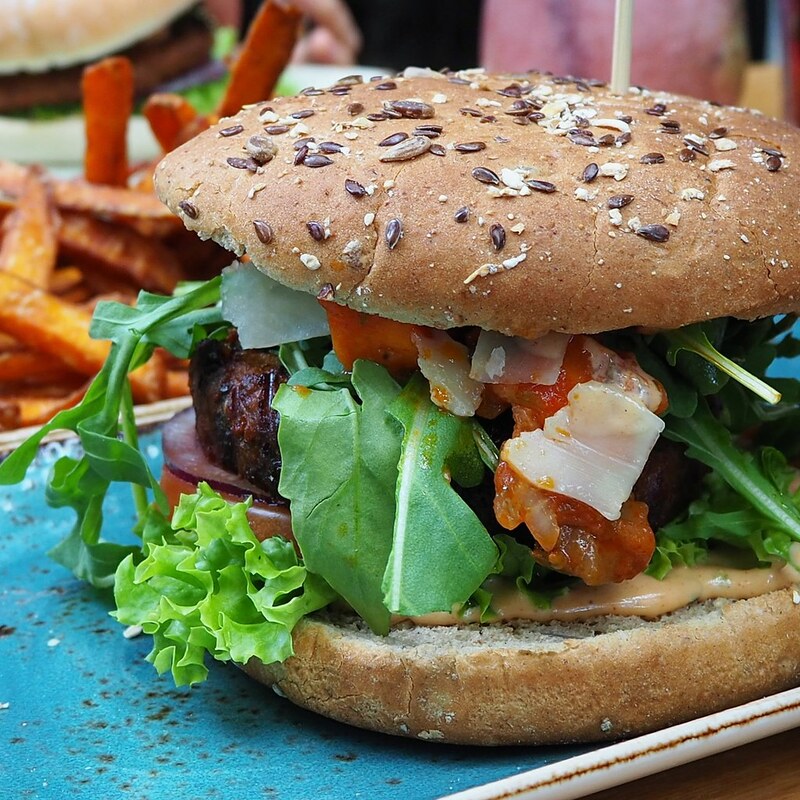 Boasting a good balance of flavour and texture, their rendition of European beef burgers are generally less greasy and more healthy than the American-style burgers. The VOGELWILD ($14) features a grilled chicken breast burger with sour cream chive sauce and crispy fried onions. A healthier option as grilled chicken breast is used, the meat was a tad dry on its own. However, the dressings provided a creamy tanginess which lends a refreshing flavour to the burger in between bites. One of the vegetarian burger options from the menu, the ABENDROT ($15) comes with parmesan cheese, grilled vegetable tartare & rocket leaves. Crunchy and flavourful, this meatless option is still satisfying as the rich flavour of the grilled vegetable tartare works wonderfully on the palate. Their Vegan options are no less impressive with the JUGLANS ($15) which comes with cranberries, sprouts and walnuts. The vegan patty has a nice crispness on the exterior while the interior retains a succulent texture. 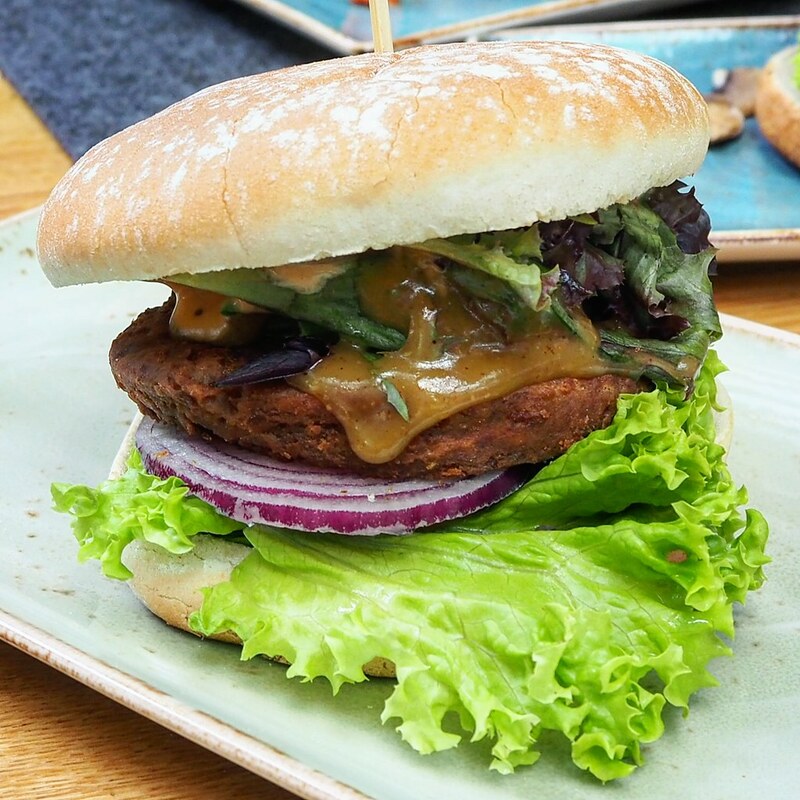 Its accompaniments provide a good balance of flavour to the vegan burger. The HENNE ($15) is a grilled chicken breast burger which comes with avocado cream, sprouts, orange and mustard sauce. However, with the option to go naked (without burger buns), the dish resembles a salad. 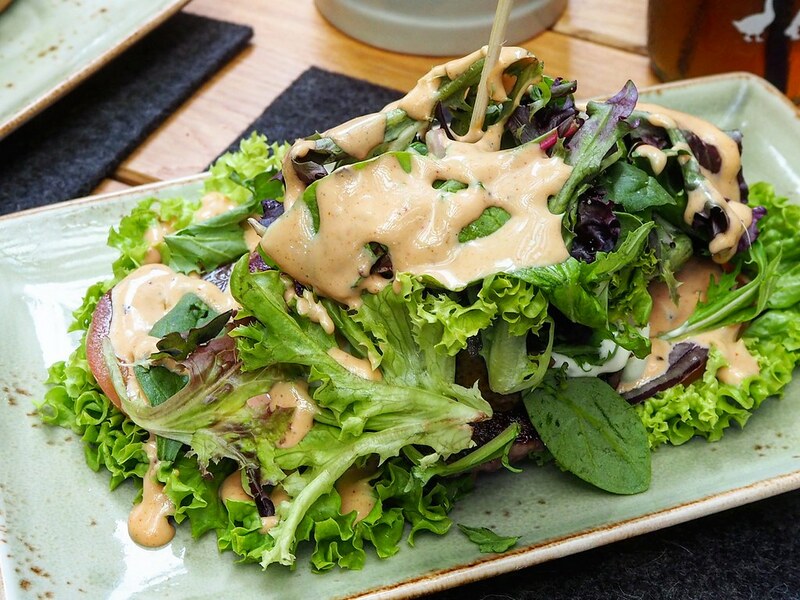 It may look like a mess of leafy greens, yet it fares notchers higher than the regular salad bowls with its luscious avocado cream and mustard sauce adding a zesty kick to the entire dish. Fresh and yet retaining a nice crunchy texture, it is no less satisfying than the regular burgers and perfect for those on a carb-free diet. 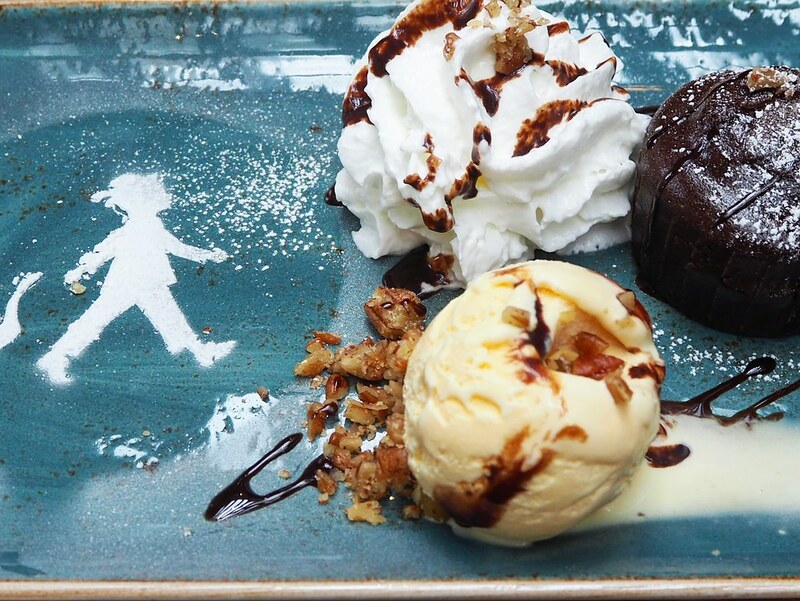 End the meal on a sweet note with their selection of desserts, such as the OMAS GEHEIMNIS ($12) which features warm molten chocolate cake served with vanilla ice cream & whipped cream. The soft moist molten cake oozes intensely rich chocolate lava upon breaking it open. The classic combination of the warm chocolate and cold ice cream never goes wrong, and is well executed in this case. 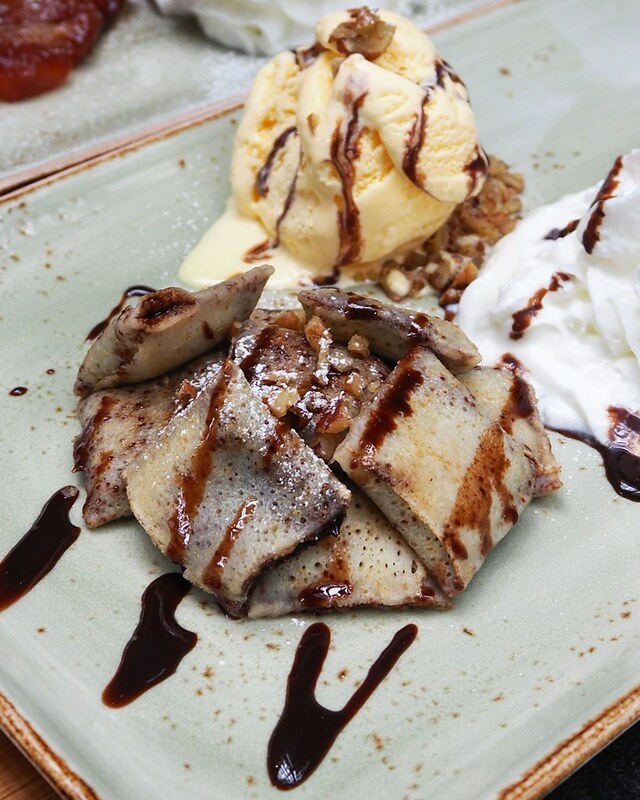 The WOHLERGEHEN ($10) comes in a pile of mini Crepes drizzled with warm chocolate and served with a scoop of rich vanilla ice cream. The dish also came with some walnuts to add a crunchy texture to the soft mini crepes and creamy ice cream. 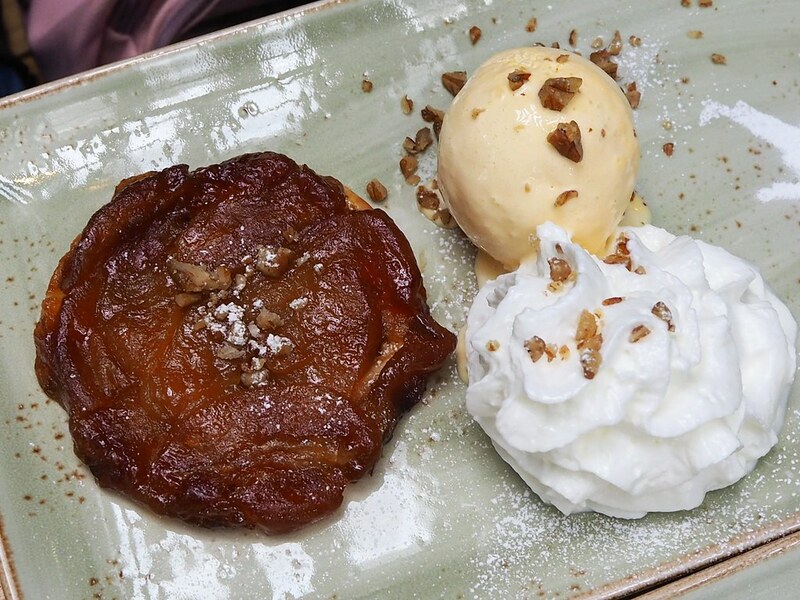 The BESTER ($12) features warm glazed apple tart served with vanilla ice cream and whipped cream. The apple tart leans towards the sour side with a subtle sweetness while the creamy vanilla ice cream on the side provides a good complement to the apple tart, with the addition of whipped cream for a lighter finish. 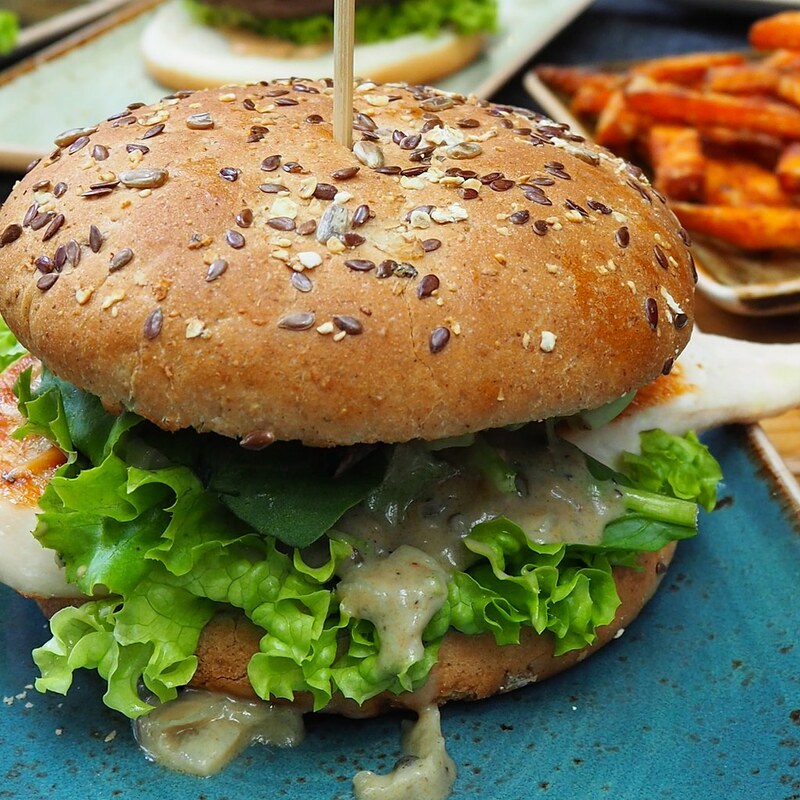 Hans Im Gluck presents a whole new slew of wholesome burgers which is of both quality and nutritious value, defying the common perception of unhealthy burgers that we get mostly from fast-food restaurants. 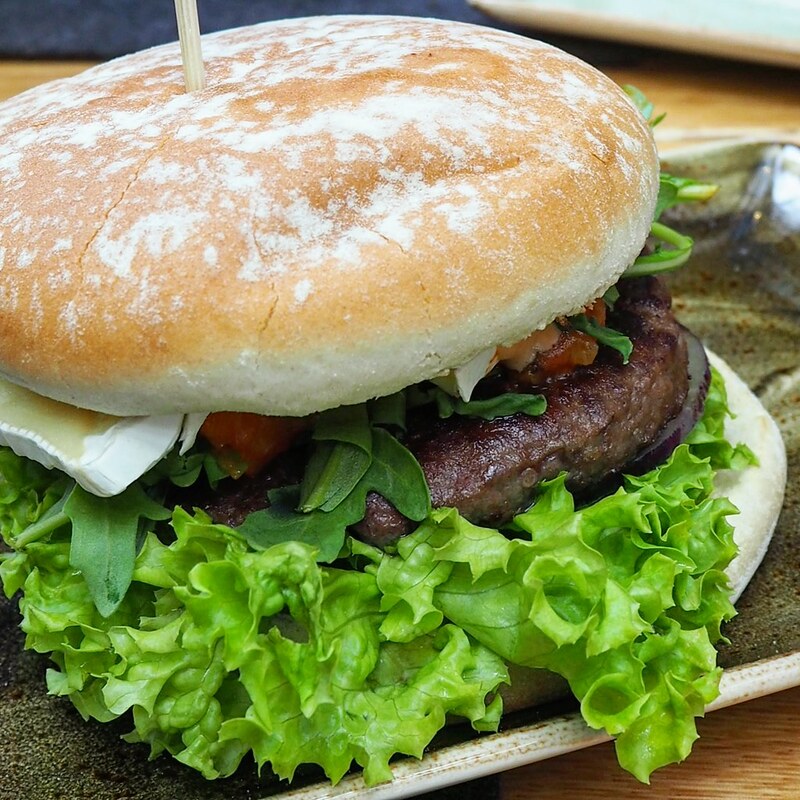 Owner Mrs Hirschberger says: "European burgers are healthy and nutritious. Our burgers are different from fast food. We want to offer gourmet burgers in a restaurant setting as proper sit-down meals." As a one-stop burger place to cater to different dietary preferences, it elevates its variety of handcrafted burgers into an exciting and healthy meal – with virtually unlimited options and something special for everyone.